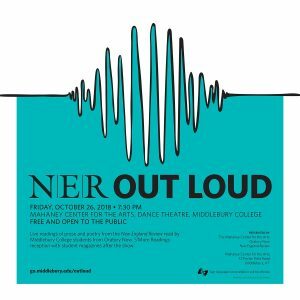 NER Out Loud is back for its fifth run! 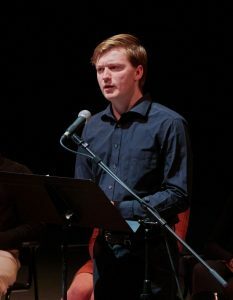 Join us Friday, October 26th, 7:30 pm, in the Mahaney Center for the Arts Dance Theatre for an evening of readings from New England Review. 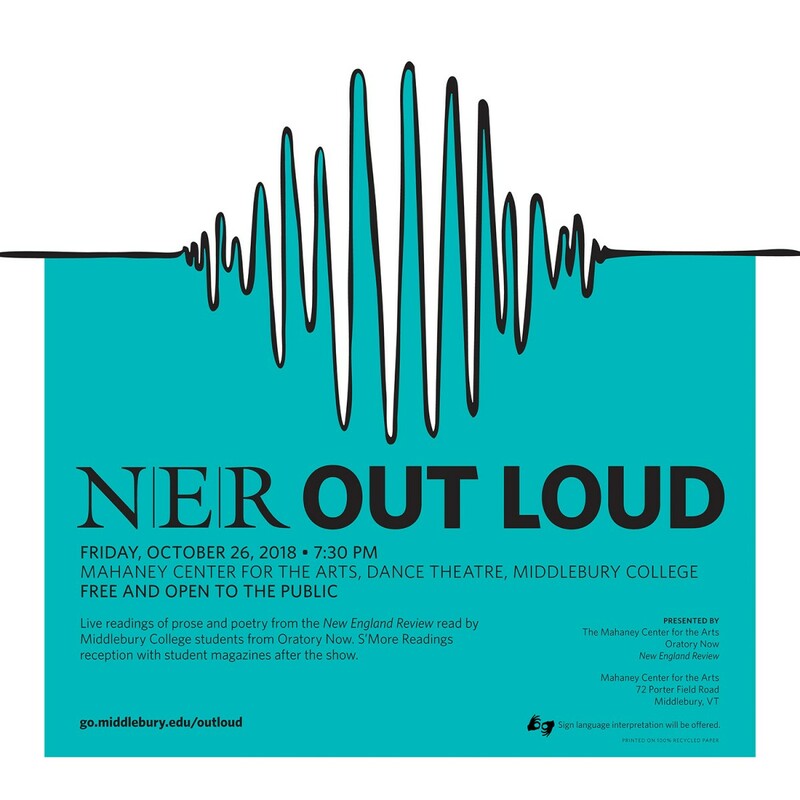 In partnership with the Mahaney Center and Oratory Now, NER Out Loud presents selections from the magazine, read by a talented team of Middlebury students. Sign language interpretation will be included. 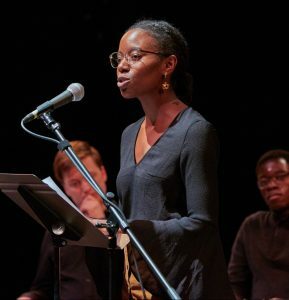 And leave room for dessert—students will cap off the evening with a reading of their own work in the Mahaney Center lobby, while you enjoy Middlebury’s finest Indoor S’mores! 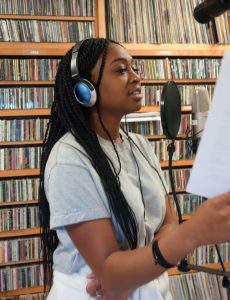 Editors and contributors to the student literary magazines will also be on hand at the post-show reception to discuss their publications and read from their recent work. Read more about NER Out Loud.